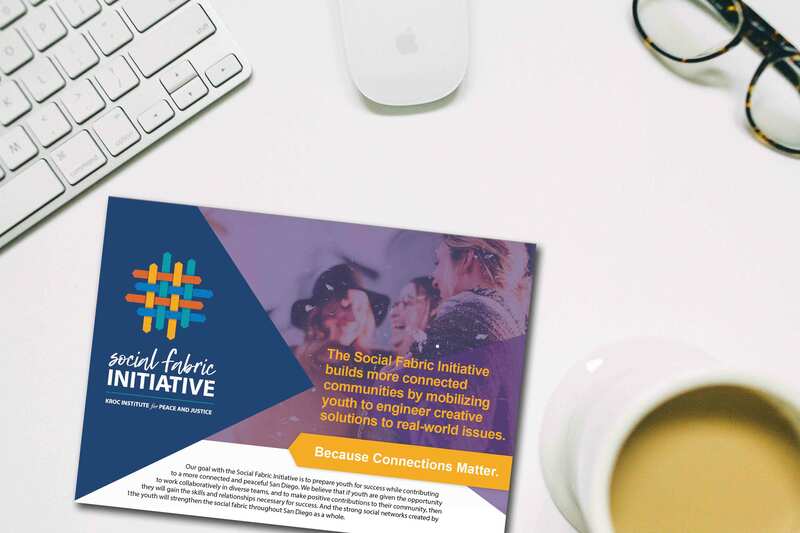 The Social Fabric Initiative is a new program started by a small group of community minded individuals through the Joan B. Kroc Institute for Peace and Justice through the University of San Diego. 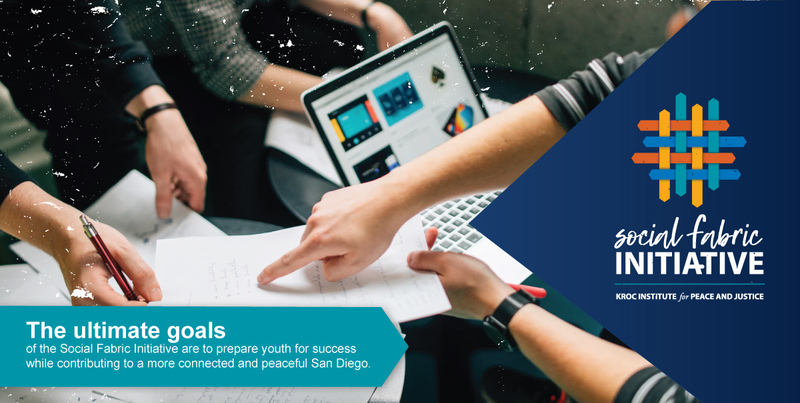 This program brings together local high school students, university interns, and mentors to create real-world solutions that can bring change to our local communities. Create a brand that represents 4 different audiences. Be creative and different while sticking to USD’s internal guidelines. Build and design a website that challenges youth to get involved. Focus on the end goals of the program. Play with shapes and be bold with color. 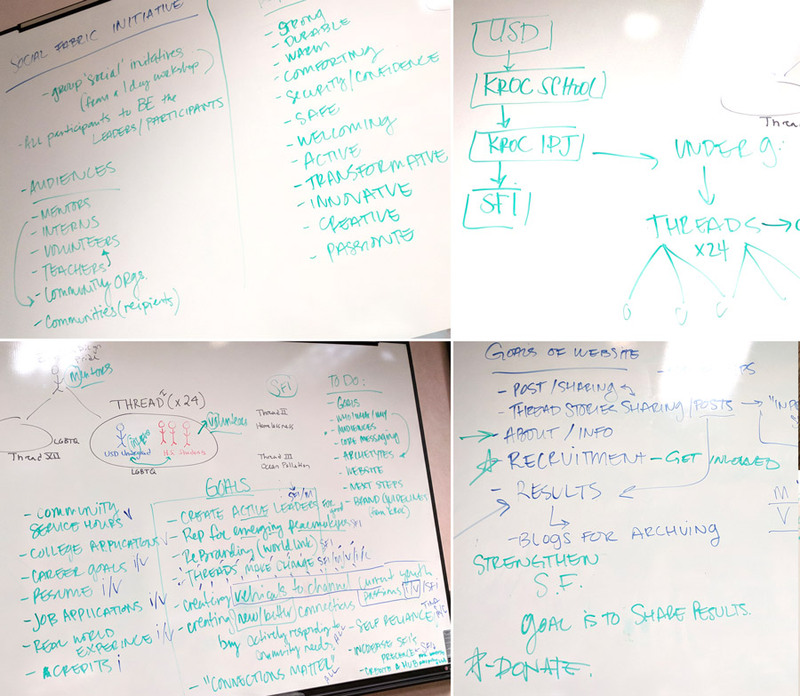 The goal of our SFI Discovery Meeting was to help unify the team and build continuity. 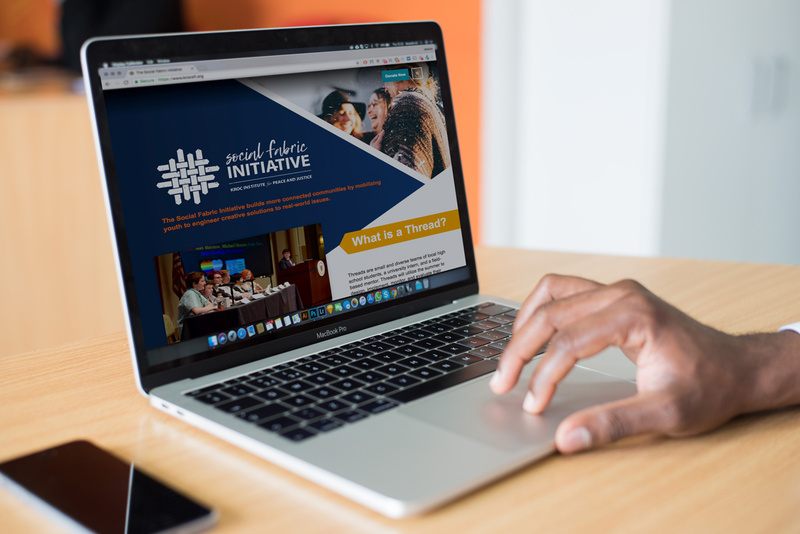 With multiple audiences, each with their own set goals, SFI’s purpose was confusing. 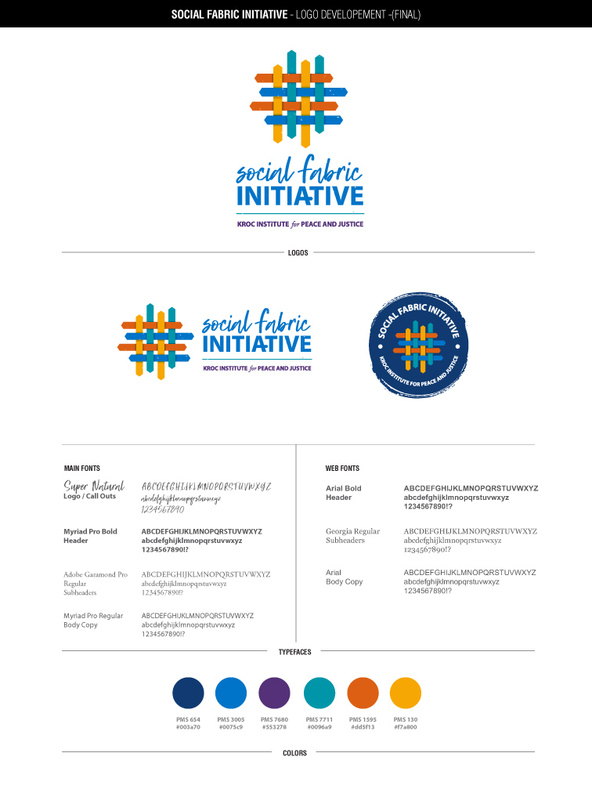 We started by streamlining their overall mission, defined their positioning statement, and then built their program personality. The identity was based upon connectivity. 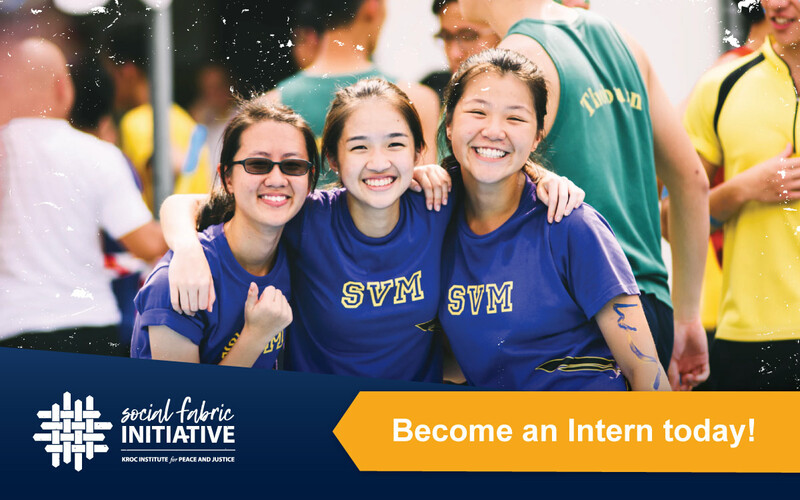 SFI is bringing multiple types of people together, with different ages, goals, and experiences. They represented different “threads”, creating a sort of new group or social fabric. 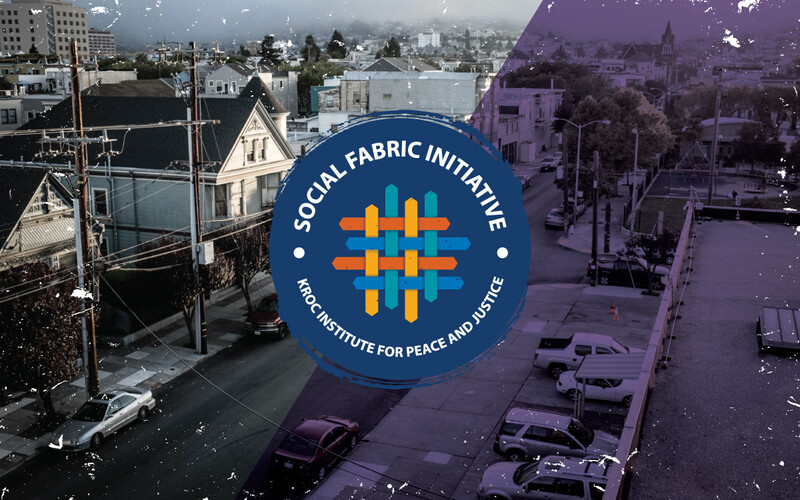 SFI’s goal was to weave all these teams together to make a new connection that ultimately helped our communities. The logo choice was a difficult decision. This new identity had to appeal to youth, represent a sophisticated collegiate program, and keep USD brand guidelines in mind. In the end the choice was based on all the people and connections being weaved together. The multiple colored weaving swatch with arrows on the ends represented what you can build when you bring like minded people together. A weaving that promotes change through connections. We created postcards, info flyers, and other swag to leave behind for their multiple conferences and school promotional rallies. There website again had to bring a lot of info together for different organizations. Our focus was to get high school volunteers and college interns to sign up. The 2nd goal was to help people know they have the option to donate. We made sure every page allowed the user to navigate easily to these two options. We used bold shapes, textures, and bright colors to keep it fun and different. We built the back end with SFI’s growth and future in mind. Their new site has multiple options to share stories, promote community meet-ups, and upload team results to social media.